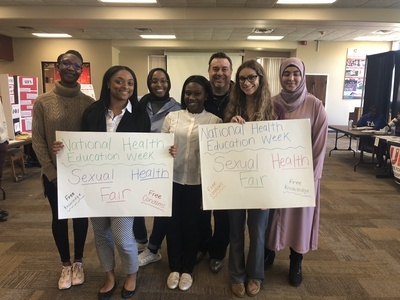 Students from Dr. Brauns Public Health Education class and from Eta Sigma Gamma recently presented the 3rd annual Sexual Health Fair to the campus community. "Public Health Education 21" (2018). All Health and Sport Sciences Images. 142.